When any type of driver is over tired or failing to drive in a safe manner things can turn nasty quickly. A 40 tonne truck being driven unsafely is a completely different story. It may or may not be surprising to hear that 11% of crash fatalities on the highways involve a big rig, state The Federal Motor Carrier Safety Administration. What may be more surprising is that these big trucks actually only make up 4% of vehicles on the road. According to The National Transport Safety Board as many as 30 – 40% of all accidents involving heavy trucks are said to be the result of truck driver fatigue. Inevitably due to their colossal size and the speed at which they travel, accidents involving trucks carry a huge risk of causing serious injury or fatality. Drivers can become fatigued by any reasons. A deadly mix of lack of adequate sleep and driving for too long in one journey or too many hours in one day can render a driver exhausted and weary. Drivers can also be under a lot of pressure to deliver their loads which can lead to driving for too long without taking enough rest. Due to such high demands being placed on truck drivers by employees and the risks involved with big rigs on the road the government has enforced some restrictions. These restrictions are designed to keep both truck drivers and other road users safe. 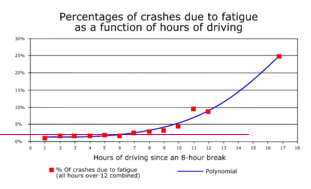 This graph demonstrates just how much the percentage of crashes increase due to fatigue, showing how important these restrictions are. Drivers are allowed to drive for a maximum of 11 hours but only after 10 hours consecutive hours off duty. The government also states that drivers are only to drive for a maximum of 60 hours on duty in one week or drive after more than 70 hours on duty in eight days. Drivers can restart either 7 or 8 consecutive day duty periods after 34 consecutive hours off duty. By breaking these restrictions drivers or employers can be liable for huge fines and penalties of up to $11,000 from the Federal Motor Carrier Safety Administration (FMCSA) as they seriously increase the risk of causing personal injury or fatality. 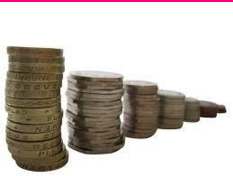 The amount of fine that is awarded is dependent on how severe the infringement. In order to ensure these rules are adhered to, there are certain things that drivers are required to do. Truck drivers are to keep a record in the form of a drivers log for each 24 hour period of service. This means there is always a record of how much the driver has driven or rested if there were ever to be an incident which brings to question the amount of hours the driver had been driving. Personal injury to the driver is the least of the problems associated with trucks of this size. 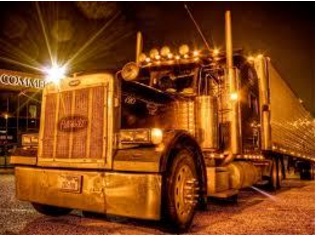 A large 18 wheeler truck can weigh as much as much as 30-40 tons whereas cars weigh about 2 tons. As you might imagine this mammoth difference in size leave car drivers at a slight disadvantage, resulting in more serious injuries for car drivers and passengers. The size of trucks make them difficult to steer and bring to a stop especially at speed. It takes a normal car about 160ft to stop when driving at 60mph whereas a tractor-trailer will need around 420ft to stop at the same speed. After sustaining a personal injury it is important to get in contact with a John Bales personal injury attorney who will assess the facts of your case. A personal injury attorney will come to a conclusion over who is to blame in a fatal crash or a crash which results in serious injuries. A personal injury attorney will also help you find the evidence that needs to be collected after an accident with a collision. In the case of a collision involving a big rig, a personal injury attorney will look at the evidence of the drivers’ hours before hand. These should be recorded in the drivers log book and will determine whether or not the driver was adhering to the government’s restrictions. A good John Bales Attorneys should help you get the compensation you are owed and deserve for your medical care, loss of income, and pain and suffering.